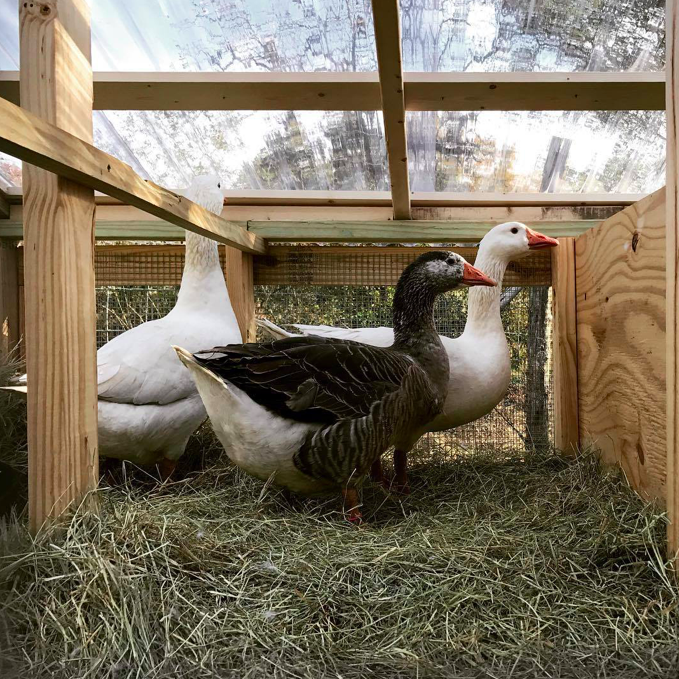 On your next visit to Sage Hill Inn & Spa, make sure and say hello to the new residents, Salt and Pepper, our Cotton Patch geese! Once a common breed throughout the south and eastern United States, cotton patch geese are now critically endangered, with fewer than 100 breeding pairs alive. Beautiful geese with happy and non-aggressive personalities, they love the Texas heat and humidity. Sage Hill is so happy to be able to provide a home for them! With the mating season upon us, one of them is "expecting" and will be laying eggs soon. Over the next few months, they will have 14-20 babies! Congratulations are in store soon!